A secret government agency recruits imprisoned super villains to execute dangerous black ops missions in exchange for clemency. While there are undeniably numerous problems with this third outing for the DC Comics Extended universe, there are at least a few positive elements in the film. First and foremost is Margot Robbie. Smoldering rising star Robbie clearly has as much fun as possibly bringing the Joker’s romantic partner in crime Harley Quinn to life on the big screen. A cult favorite among Comic book fans it will be satisfying for many to see the iconic character finally make her cinematic debut in manically joyous fashion. It’s hardly a surprise the film so often unashamedly lingers on the splash of colour and fun she provides. Aside from Robbie’s Quinn, Suicide’s Squads most interesting member is undoubtedly Will Smith’s Deadshot, mostly because the deadliest hit man in the DC universe is given the lions share of character development and screen time. Exploring the conflict between being a ruthless professional killer and yet a devoted father, Deadshot’s plot line succeeds in at least giving the character the dimension which so many of the film’s characters sadly lack. It’s portrayed most powerfully in one particular scene which, without giving too much away, involves another iconic DC character. Third and probably most surprising of the positive points, is Jai Courtney’s Captain Boomerang. The Australian boomerang toting villain is best known to comic book fans as a regular antagonist for The Flash, who we get a blink and you’ll miss it cameo from in Boomerang’s intro. There are still broader issues with the character, but Courtney occasionally brings some fun to the role including a love for pink fluffy unicorns and a taste for canned beer. All this however barely helps to alleviate some of the huge problems with the film. 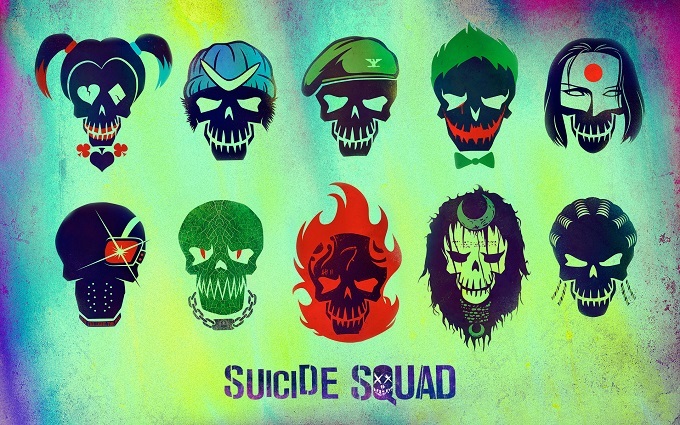 Director David Ayer seems to struggle bringing this motley crew together neatly, after a botched attempt in its opening ten minutes which sees each member of the Suicide Squad’s back story introduced to an increasingly desperate accompaniment of pop songs. It’s almost as if the studio have tried to take a leaf out of Marvel’s books after the glorious success of Guardians of the Galaxy’s unexpectedly genius soundtrack, only to come off as much more jarring. It’s impossible not to directly compare the contrasting fortunes of the two comic book giants. While Marvel have taken over a decade of careful planning and patience to craft a well balanced and perfectly judged tone for an ever expanding and wondrous combined cinematic universe, DC has thrown together their most recognizable figures with unashamed haste for short term box office gains. As a clear example introducing a new Joker is a significant creative challenge that clearly deserved it’s own film. Instead DC have yet again jumped the gun in their desperate impatience to match the mighty box office progress of Marvel. On the subject of the much anticipated big screen return of The Joker , Jared Leto‘s interpretation of the iconic Batman villain feels criminally underused and when he does rarely grace the screen with his presence he inevitably never manages to quite escape the daunting shadow that Heath Ledger’s Oscar-winning performance left behind. As a superfluous figure on the fringes of the actual plot in Suicide Squad it’s clear that despite all Leto’s method acting intentions his Joker is at best merely a gratuitous marketing tool for this messy ensemble. The problems continue as the film moves on to it’s main threat, which consists of Cara Delevingne’s Enchantress using her black magic powers to emit a bright beam into the sky and destroy the world. Because we can’t have a comic book movie without a big light shooting into the sky it seems these days. As a whole Suicide Squad feels hastily put together and re-edited with hints of a better film trying to break through, not unlike the recent misfiring Fantastic 4 attempt by Fox. Unfortunately despise rare flashes of promise, the film quickly abandons a clear structure and good characterizations. Fans should also avoid being fooled by the film’s teasingly colorful promotional art, Suicide Squad is just as dreary and drab as Snyder’s sullen Superman films. Suicide Squad frustratingly squanders some of the most interesting characters in the richly villainous side of the vast DC universe. Rushed introductions to a whole line up of otherwise entertaining characters collectively robs them of much of their potential joy. Sadly at best the film feels like a collection of familiar faces and interesting ideas held together by a few music videos and a lot of bland plot exposition.